Whatever you’re ready for, so is our 327 Walk Around. It is a design marvel that is adaptable for having nearly any kind of adventure on the water. 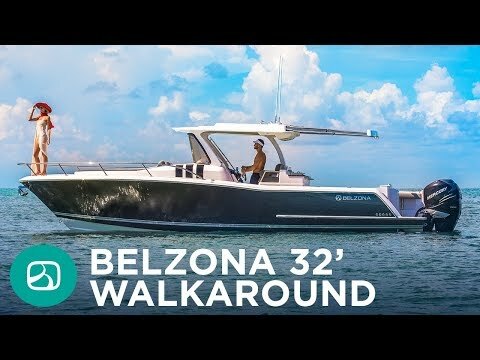 From the second you see the boat’s beautiful silhouette, to that first moment you cross through the patented Easy Open sliding side doors, you’ll be amazed at just how much better boating can be. Once you board, your exploration into new-found excellence will continue. By taking time to take it all in and relax on the giant front lounger. Or by heading below deck to the spacious cabin with optional air conditioning to take a break from the sun, catch something on the optional flat screen TV, catch a nap on the bed that comfortably sleeps two, or to take advantage of the large head complete with a walk-in shower.